The Brogen Byte: Meet the Krupysheva's! We have been waiting to photograph the Krupysheva Family for a long time and we finally were able to get our schedules matched up for an awesome portrait session today. We were excited when the rain stopped and the skies cleared this morning, presenting us with such a beautiful, warm autumn day. The session was even more special as the Krupysheva's opened their home to us so we could use their beautifully cared for grounds that had been loving landscaped by Alex's Dad as the background for their session. 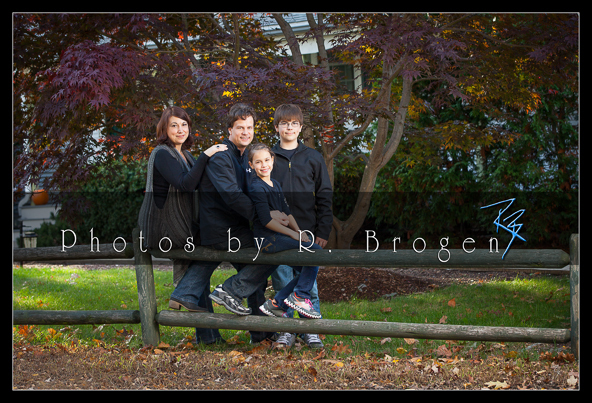 We feel very honored to be able to capture and incorporate his memory in their first family portrait in 13 years.